BuddhiBox is one of my favorite subscription boxes because it's geared to the mind, body, and soul. 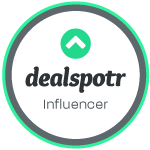 Whether you're looking for yoga gear, homeopathic products, all-natural snacks, or simply something to lift your spirits, this is the box where you can find all that and more. I always love when this box shows up on my doorstop, but this month was packed with even more awesome goodies than usual. Here's a little about each item. Cedarwood Essential Oil - This oil has a nice woodsy scent that will help keep you grounded through the hectic holiday season. It helps reduce stress and chaos. It's also great for acne, urinary infections, and aids with respiratory trouble. Blend Bee Tea - This is a spicy blend of tea that will help you get started in the morning. Eucalyptus Candle -This candle smells amazing, and I love how it has a little heart shaped leaf on the top! 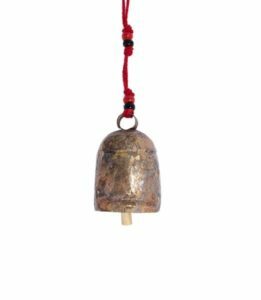 Spirit Wind Chime - This mini wind chime will be hanging from my rear-view mirror. It's so pretty and features Ganesh, one of my favorite deities. Mud Masque - This is a powder mix. Just add water to create a soothing mask that will soothe irritated skin. It leaves skin feeling soft and smooth. Desert Rose Stone - These pretty stones really do resemble roses. It great for protection and is sometimes called a wishing stone. 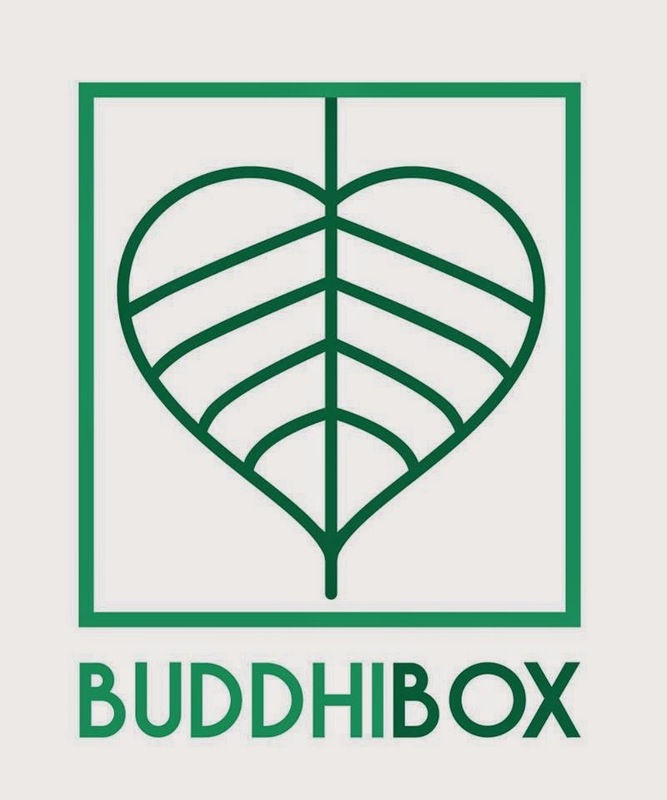 Save $3 on Your First Month at BUDDHIBOX when you use code buddhifriend. 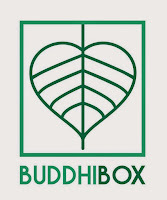 One lucky winner is going to receive a one month subscription to BuddhiBox. To enter, just fill in the Giveaway Tools form below. This giveaway will end on 9/09/18. The winner will be notified via email and will have 48 hours to reply. Open to the US only Thanks again to BuddhiBox for offering this fantastic prize. I learned that the company was founded my a yoga teacher. I learned that each month a portion of their sales goes to supporting an amazing cause. 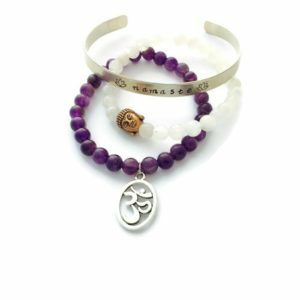 I learned that you can subscribe to their newsletter and get 30% off your first Yoga or Jewelry BuddhiBox! I learned that BuddhiBox was founded by Maxine. Entrepreneur, yoga teacher, yogini, and resilient dreamer. I learned that this box is yoga themed and there are three different boxes to choose from. I learned the founder is a yoga teacher. they have a different charity each month. I learned that in each soul care package is an Organic & Vegan Beauty Mud Mask for face and body. 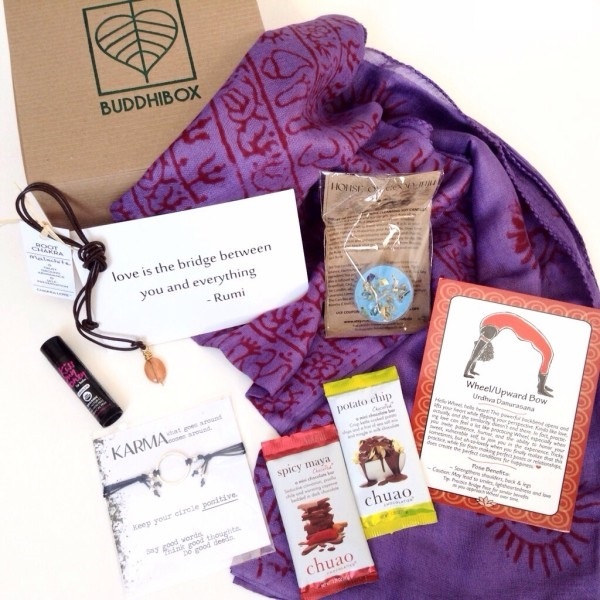 Subscribe to their newsletter and get 30% off your first Yoga or Jewelry BuddhiBox! I learned that this was created by a Yoga teachers and you can get 30% off your first order. I learned every month a portion of their sales support a different global charity, from animal rescues to Ugandan education funds. They frequently offer limited-edition seasonal, holiday and themed boxes. I learned that August's BuddhiBox features 6 products that represent the 4 elements of nature.